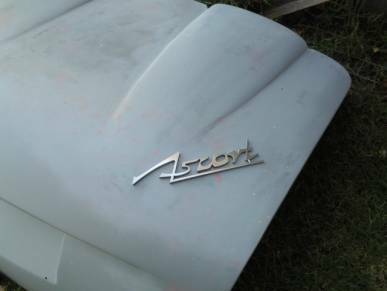 The Ascort had a front bonnet emblem which featured a lion and what is believed to be the letters “CC” which would stand for “Continental Coachworks”. 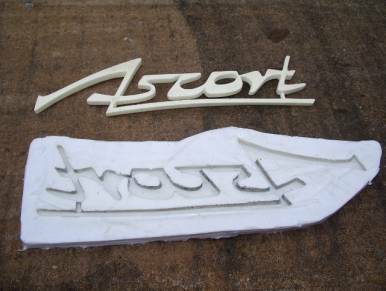 This is the company name used in the production of the Ascort bodies. 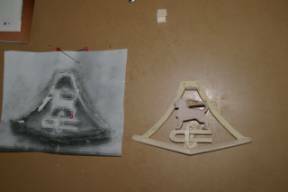 As no original emblem was available for copying, replication from photos has been carried out. Photos were enlarged to a size that matched the original mounting holes and corrected for paralellex errors. 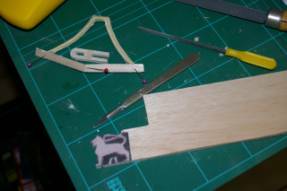 An emblem shape was then created from balsa wood and filler. After the basic shape was created, it was checked against the car for curvature and fit before moulding in silicone. 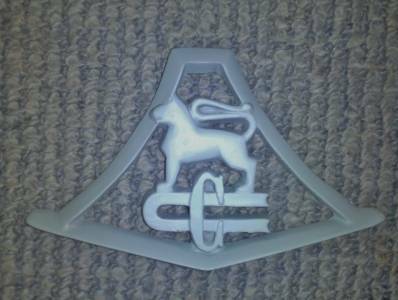 Once the silicone mould was created, replica emblems could be cast in resin and “chrome” plated. 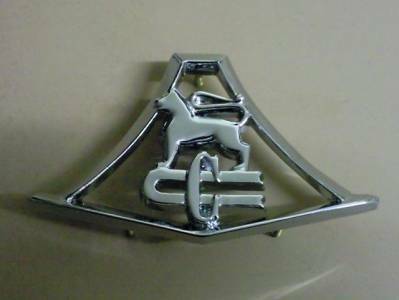 Emblems are now also in the process of being produced in stainless steel through a lost wax casting process. 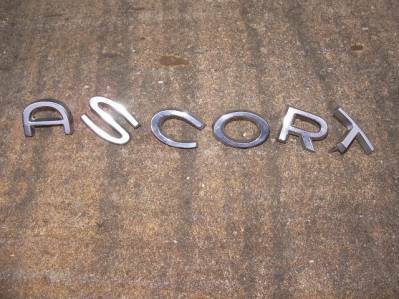 As the font used for the front letters is not common, currently produced matching letters have not been found. 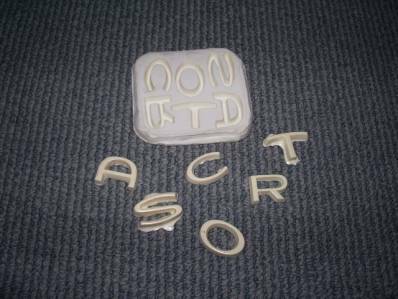 A surviving set of letters were borrowed and moulded in silicone so that resin copies could be produced. 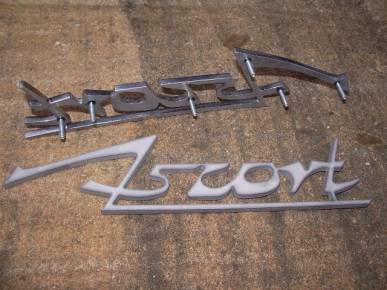 From these the font was copied into CAD. 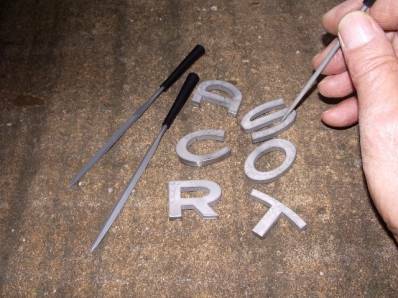 Once the letters were produced in CAD, a water jet process was used to cut blanks from stainless steel plate. 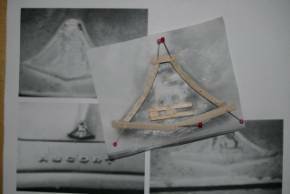 These were than hand finished with the use of grinders and files to produce the tapers, and then sandpaper, metal polish and the addition of mounting pins. 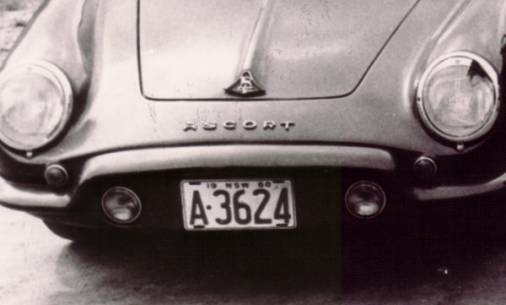 The rear script was originally a sand cast brass item which was chrome plated on some cars, and left in brass on others. 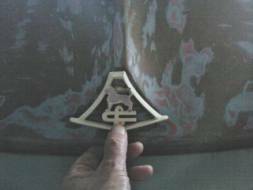 An original emblem was borrowed and moulded in silicone, but resin was not sufficiently rigid for the final item. 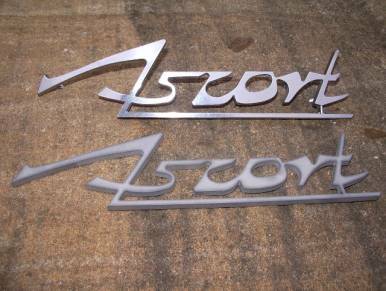 The emblem shape was reproduced in CAD and then a water jet process was used to cut blanks from 5mm thick stainless steel plate. 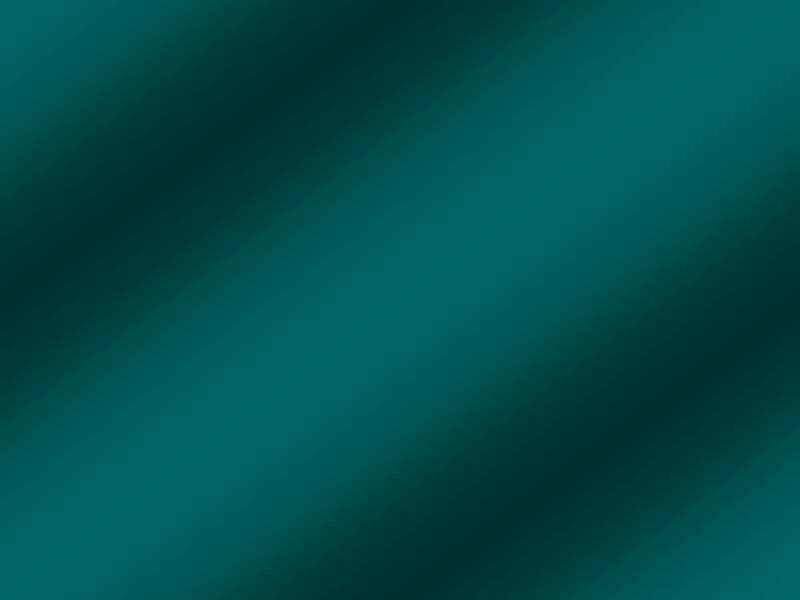 The blanks were than hand finished with the use of files, sandpaper, metal polish. Mounting screw threads were then added.